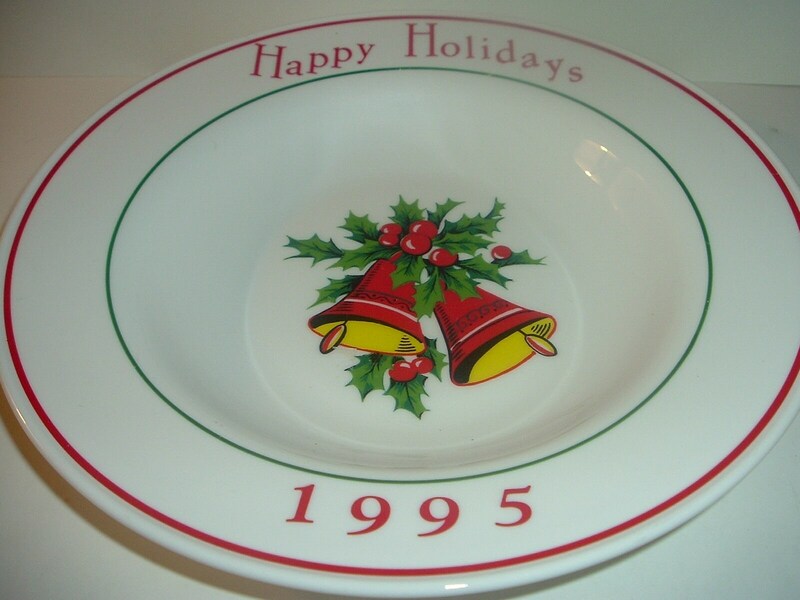 This 1995 Corning Happy Holidays Prototype bowl measures approx. 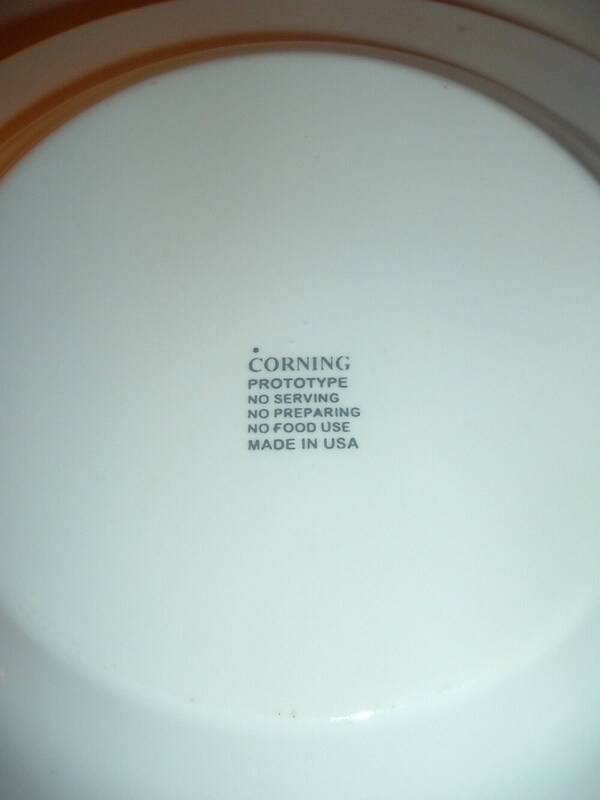 11" across. 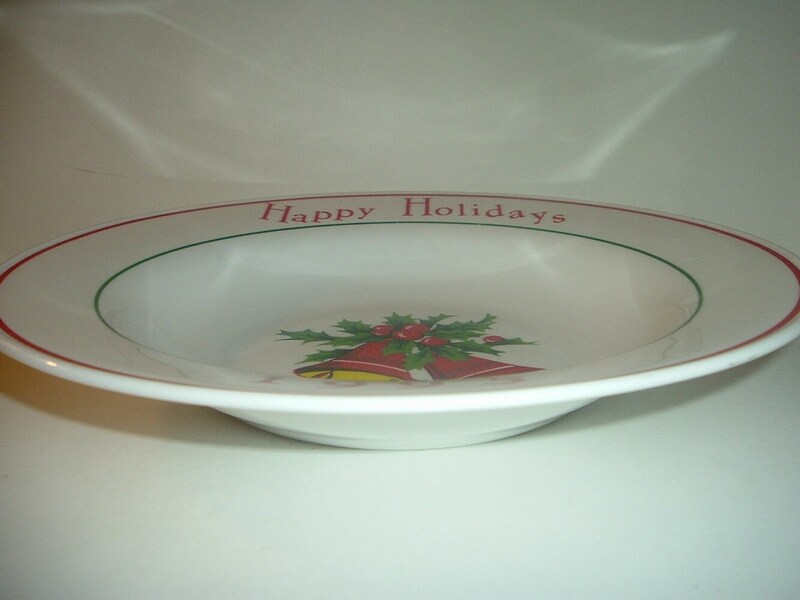 It is excellent with no chips, no cracks, and no wear or scratching. 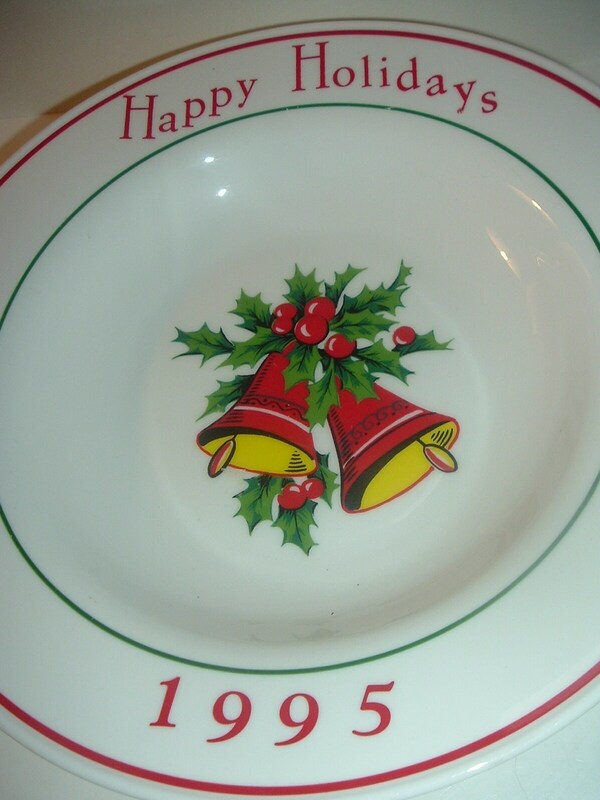 I notice a couple of teeny decal misses -- 2 on the green trim line, and one on the tail of the Y in Holidays -- very minor, but mentioned for accuracy. A nice piece! I gladly combine shipping.